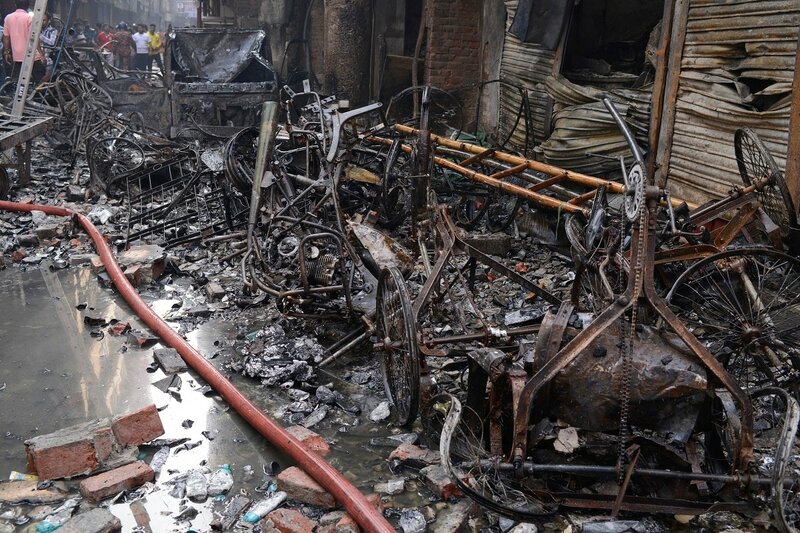 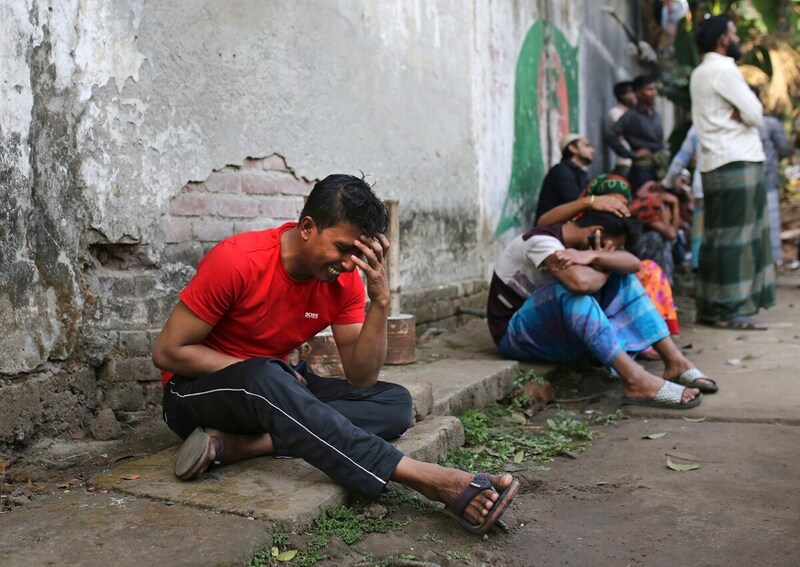 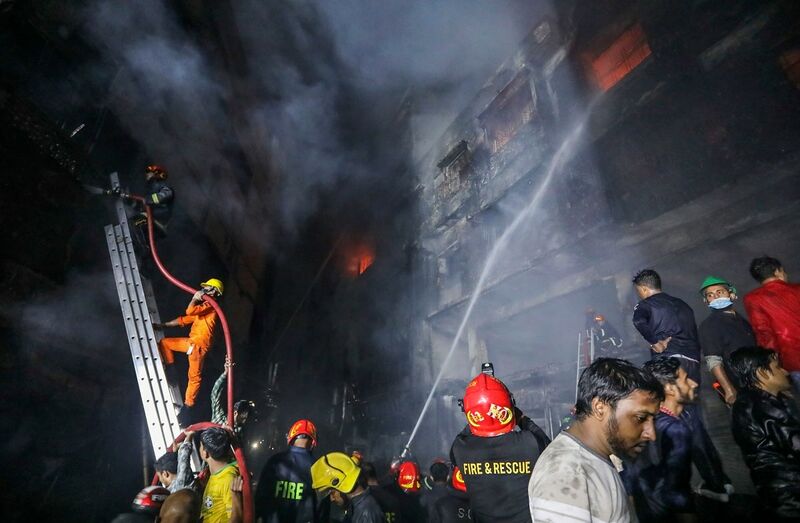 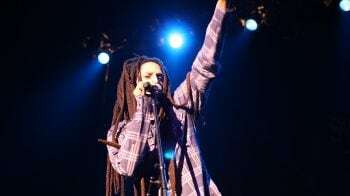 Charred buildings and vehicles are all that remains of sections of a centuries-old shopping district in Bangladesh's capital, where a late-night fire raced through narrow alleys packed with residences, shops, restaurants and warehouses and killed dozens of people. 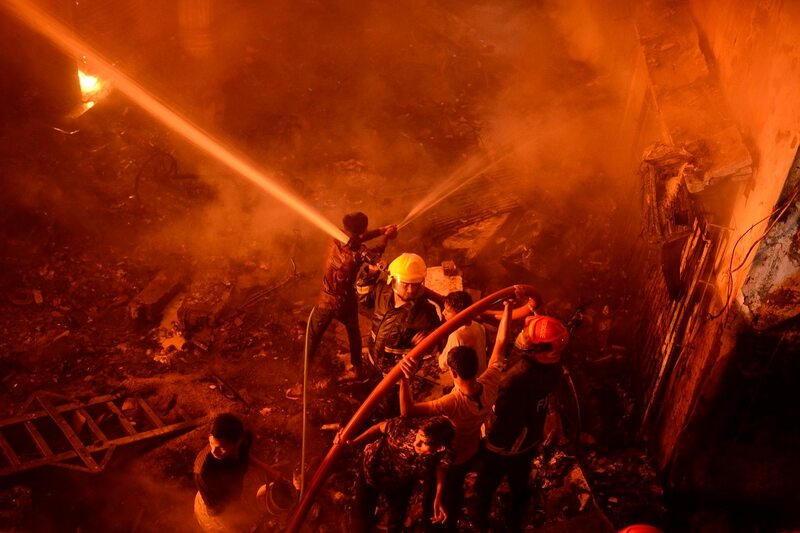 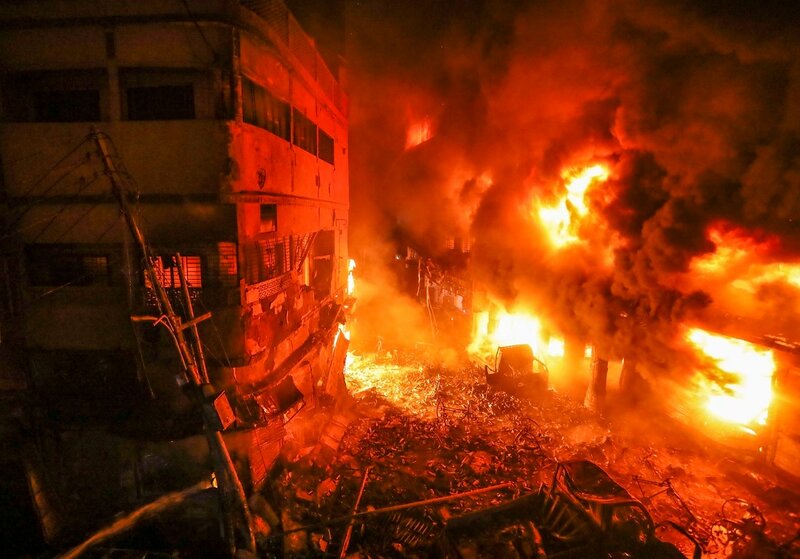 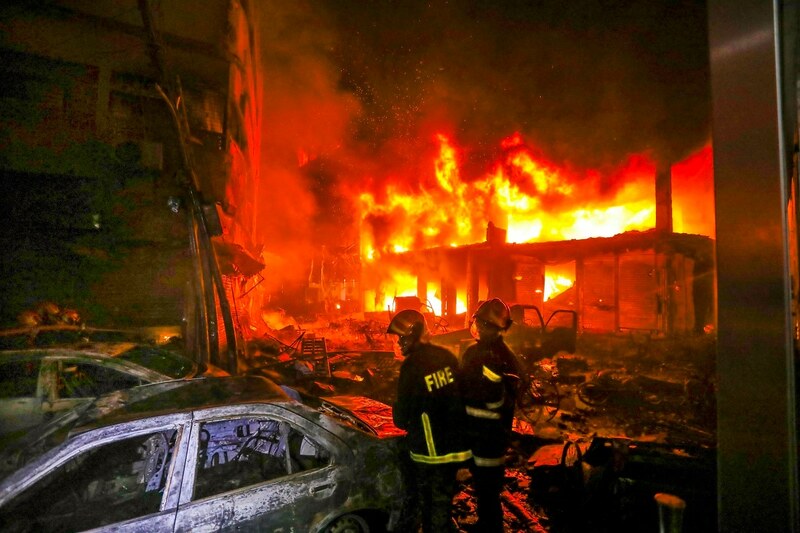 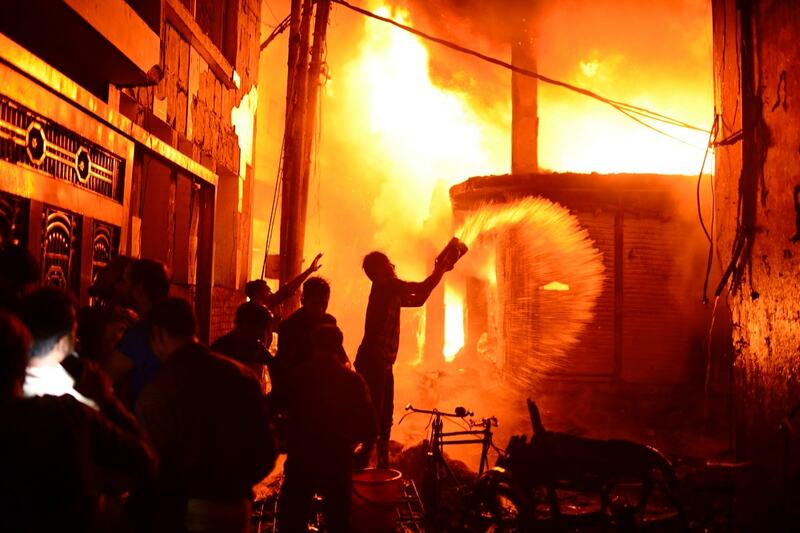 As the flames lit up the night, firefighters frantically doused the buildings in Dhaka's Chawkbazar area with water. 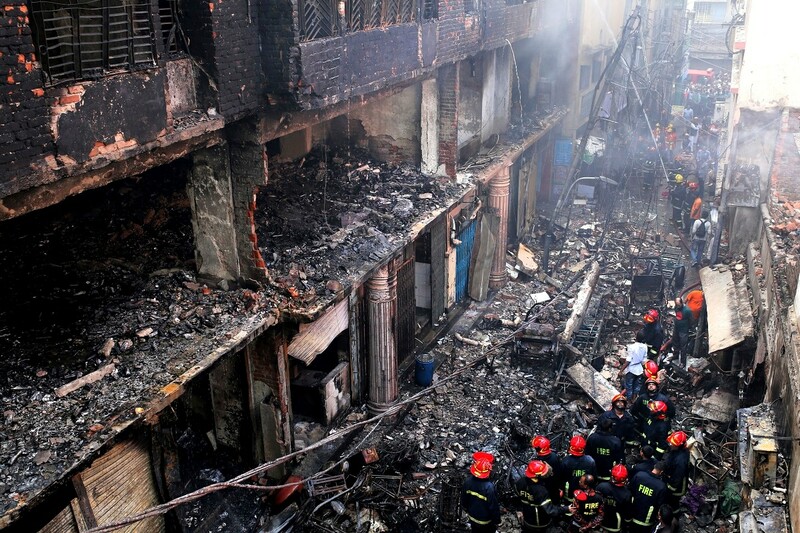 Once morning broke and the blaze was under control, the search for the dead began. 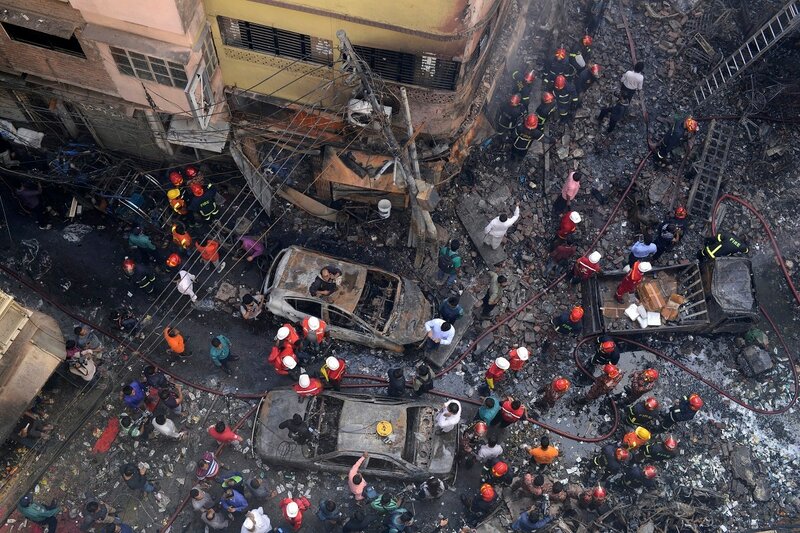 At least 67 deaths have been confirmed and some of the dozens injured suffered critical burns.